Carbon Expert is the professional you need for your activities related to environmental issues and CO2 transactions of greenhouse gas emissions in order to find the news and tendencies on the carbon market. In this competitive world, success means to be one step in information ahead of the others. 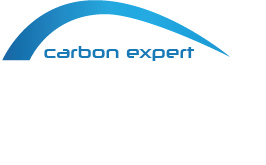 Carbon Expert team offers you deep understanding of international carbon market mechanisms and trends, EU ETS European carbon market, as well as market opportunities of voluntary emissions markets (VER, VCU certificates) by reducing the carbon footprint generated by the activities you undertake. Since we actively participate in United Nations Conferences on Climate Change, we better understand the developments and opportunities in this field, medium and long term. We would like to share with you any news related to environment issues, such as greenhouse gas emissions or CO2 emissions at European and international level (UNFCCC, emerging carbon markets – U.S., China, South Korea, Australia, South America etc.) or voluntary carbon markets.